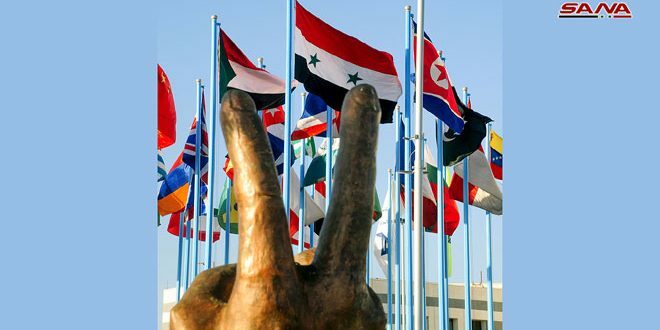 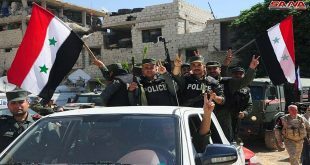 Damascus countryside, SANA- Units of Internal Security Forces on Wednesday entered al-Rheibeh town in Eastern Qalamoun after ending the evacuation process of the terrorists and their families who rejected the reconciliation agreement to northern Syria. 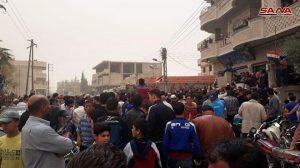 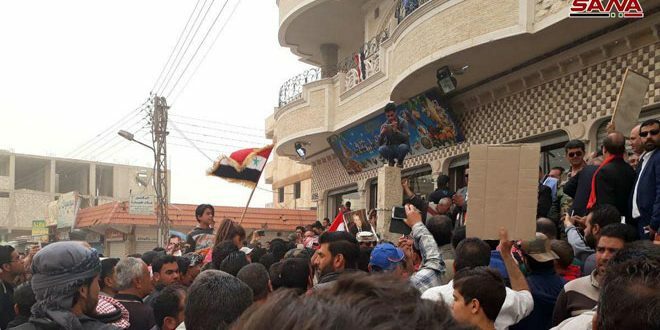 SANA’s correspondent said that hundreds of locals in al-Rheibeh town gathered in the public square, hailing the sacrifices of the Syrian Arab Army and calling for reconstructing the homeland and defending it against terrorism. 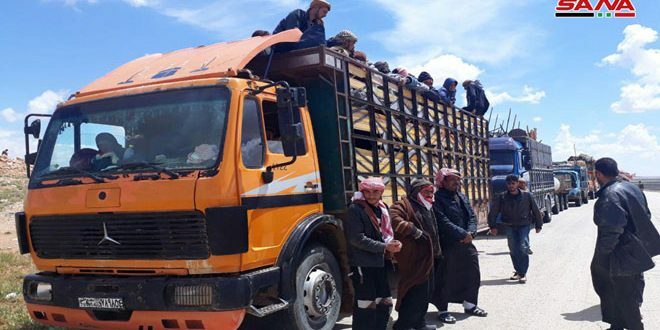 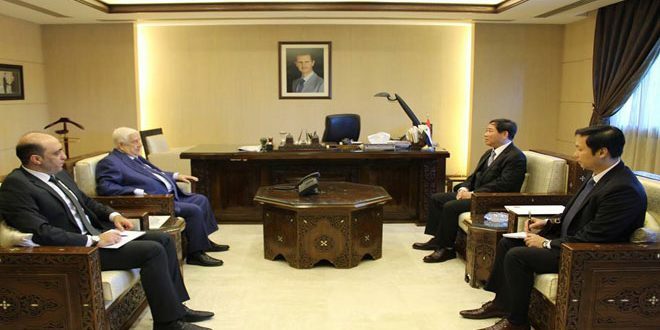 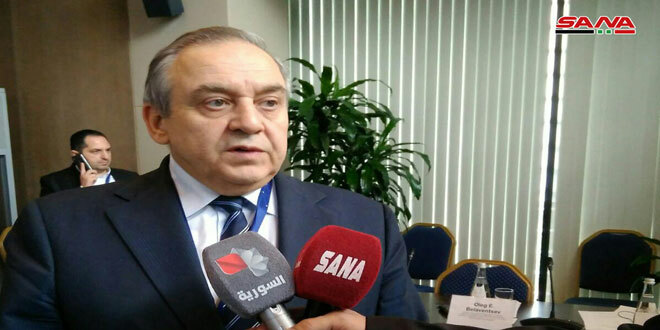 In parallel with the entrance of the Internal Security Forces, the militants who insisted to remain in the town and rejected to leave it began handing over their weapons in order to have their legal status settled, the correspondent added. 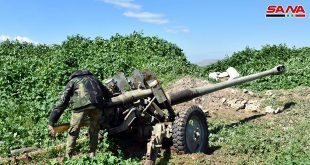 The engineering units uncovered hundreds of IDEs in the terrorists’ dens and dismantled scores of them during combing operations in agricultural lands and the areas surrounding the town, the correspondent said.